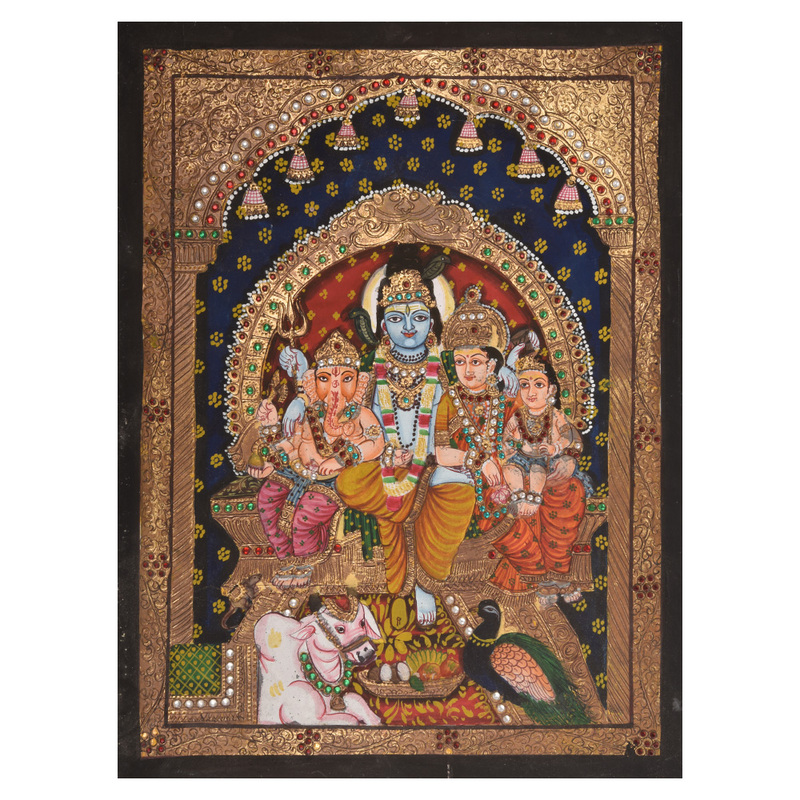 Shiva Family Full Embossed Tanjore Painting. Frames are available with these paintings. Painting Length : 16 inches approx. Painting Width : 12 inches approx.